On this New Year holiday, board the Movenpick Royal Lotus cruise for 4 days and experience the magic of the Nile and its most famous sites, including Valley of the Kings, Philae Temple, Temple of Horus in Edfu, Luxor Temple, and many more. Enjoy the beauty of Egypt on this 5-day New Year Nile Cruise offer to Celebrate the New Year In Egypt onboard one of our Mövenpick Nile Cruises. Visit the charming Pharaonic places along the Nile in Aswan and Luxor. Experience a memorable New Year vacations in Egypt on this 4 day Aswan Luxor Nile Cruise Tour aboard Mövenpick MS Royal Lily with a unique opportunity to discover all historical sites along the Nile. Celebrate the holidays this year with a Christmas or New Year’s Nile cruise aboard the Mövenpick Royal Lily! 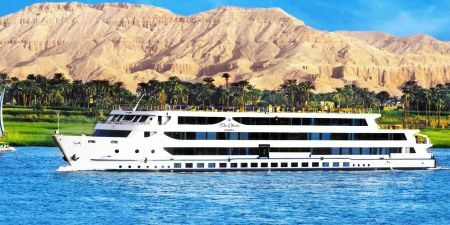 This 5-star ship will take you from Luxor to Aswan on a cruise adventure packed with historical sites, and true Egyptian hospitality and entertainment. Enjoy an unforgettable Egypt Christmas Holiday or Egypt New Year Trip onboard MS Mayfair Nile Cruise sailing from Luxor to Aswan Cruise. Visit the best historical places and ancient monuments along the Nile between Luxor & Aswan. 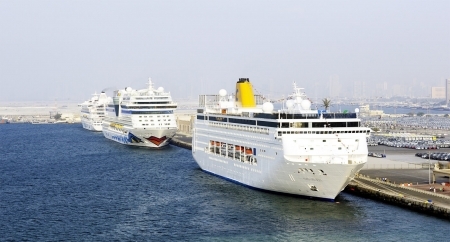 What a better way to spend Christmas in Egypt than a Christmas Nile Cruises? This 4-day Aswan-Luxor Christmas Nile cruise is the best way to see all the sights along the Nile mixed with comfortable accommodation at a great rate. Enjoy the warmth of Egypt over Christmas and New Year Holidays onboard Mövenpick Royal Lotus Nile Cruise with its elegance and class. Visit the charming Pharaonic places along the Nile in Aswan and Luxor. 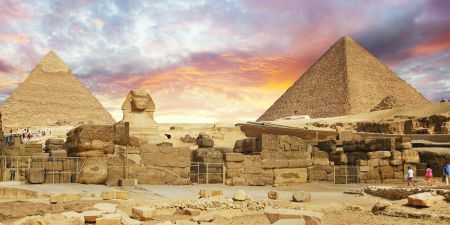 Celebrate Christmas in Egypt and New Year’s with this Cairo and Nile cruise 10 Day tour package that brings you to all of the most exciting, awe-inspiring, and relaxing places in Egypt. Celebrate the Christmas in Egypt and make your Christmas holiday different this year. This 8-day Sights of the Nile tour is the perfect way to make this year’s holiday season different by spending your Christmas in Egypt. 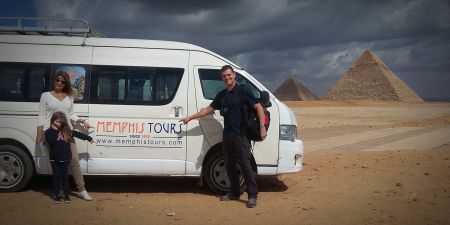 Tour Egypt at New Year and Christmas to Make your holiday an exceptional on this year through this 7-day Pyramids & The Nile Tour. It will take you from Cairo to Luxor and Aswan boarding our 5-star Movenpick Royal Lotus Nile Cruise. Kick off the New Year with the gods and goddesses of ancient Egypt by your side — this 8-day Egypt holiday travel package starts in Cairo and ends with a luxury cruise down the Nile. This 8-day tour and cruise is the perfect way to spend your holiday vacation; you’ll split your time between exploring Egypt’s ancient wonders and relaxing onboard your Nile cruise. 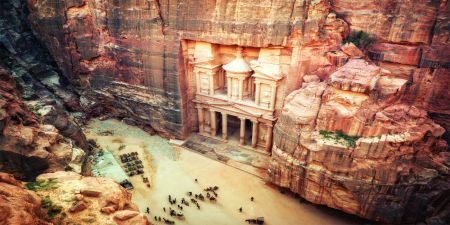 This Christmas, take yourself on an adventure through Egypt and Jordan on this 7-day holiday tour experience. There’ll be sand and sphinxes, pyramids and Petra, the Nile River and the Dead Sea. Treat yourself to an unforgettable Christmas Nile Cruise adventure this year with our Egypt Christmas offers. The Mövenpick Royal Lotus is a luxurious 5-star cruise ship that will take you to the most exciting historical sites along the Nile. A Luxury Christmas Nile Cruise offering you a seasonal feast on board with a Christmas Dinner and Party whilst discovering the lovely ‘Nubian’ Aswan with tours of Philae Temple enroute Then sailing to the Ancient Luxor and Valley of the Kings, Temples and more. A Luxury Nile Cruise during Christmas offering you a great chance on board with a Christmas Dinner and Party while exploring the lovely Aswan with tours of Philae Temple enroute Then sailing to Luxor, Valley of the Kings, Temples and more.